Summary of Massachusetts Usury Law(s) / Quote: "Legal: 5% / Contract: 9%; any rate business loans / Judgment: 9% / Corporate: Any rate allowed"
Tasha and her husband just moved into a condo that her parents purchased as an investment property. They are going to pay rent for the property at a reduced rate so that it covers the property taxes and HOA fees. They will also pay all of the utilities. Tasha’s parents asked them to pay a small amount towards the mortgage payments, but clearly Tasha’s parents are subsidizing the monthly mortgage payment. This is a really great deal for Tasha and her family. The parents get a great tenant who will look after the place and they hopefully will make money from a property appreciation perspective over the long run. Tasha gets a good deal from a cost of living perspective and they will be able to set aside some money for a down payment for a home sometime in the future. Of course when you move into your first home there are lots of things you need. Everything from towels, dishes, furniture, bedrooms and much more. Tasha and her husband would like to borrow approximately $15,000 to help them get set up with everything they need. They are counting on gifts and some help from friends and family as well. They will have some things that are new and many that are used, but that is ok with them. They are just happy they have a place they can call their own and it is not costing them a huge amount. They would like to repay this loan over a 5 year term. This will be the first loan that Tasha and her husband will be borrowing together. He already has a car loan which will be factored into the lending decision. They both have credit cards which are paid in full each month and they have no late payments or missed payments registered against them. They should have really high credit scores, however their problem is that they just do not have sufficient history to give them a good score. Lenders look for a history of borrowing and then repaying loans on time. This includes renting an apartment or paying a mortgage. Since this is their first home they have none of these things. They only have the car loan and they each have a credit card which are positive factors in their favor. They may be requested to pay a slightly higher interest on the loan to reflect the perceived increased risk of being first time borrowers. It is extremely important that they repay this loan on time and never miss a monthly payment. If they could pay it off early at some point that would be even better. They want to purchase a home of their own at some point. Having an excellent credit score will not only help them be approved for the mortgage easily, they should also be eligible for a more competitive interest rate as well which will save them money. We wish Tasha and her husband good luck in their new venture together. 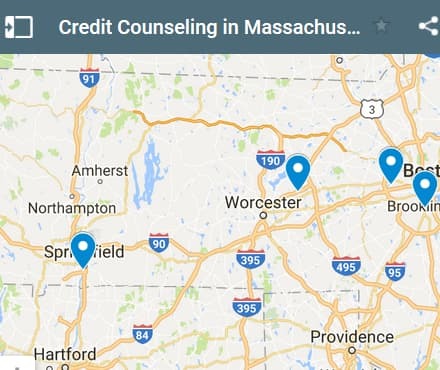 If you live in the State of Massachusetts and you're struggling to get a loan approval with a bad credit rating we hope our website helps you in some way. 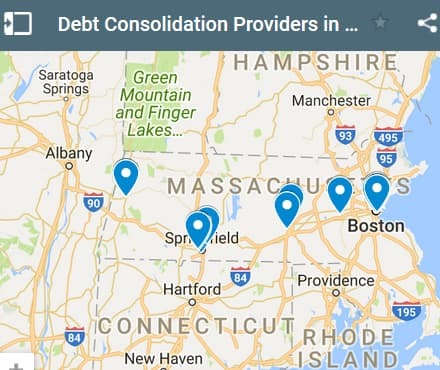 Last 5 debt service loans approved in the State of Massachusetts. Source: WFL Lender Pool. Updated Weekly. Principals rounded to the nearest $1000. Relative interest rates listed below in order left to right. If you are looking at a debt settlement anywhere Massachusetts you can check the rules and regulation of the state here. It's a good idea to fully understand how these kinds of services work. A debt settlement will hurt your credit rating because you're not paying your creditors back in full. Mathew owes money to the city for property taxes, his credit cards and even a payday loan. They are all threatening him with foreclosure, collection and higher interest rates and fees if he does not repay what he owes soon. He needs a debt consolidation loan soon to clear everything up and get them all off his back. His problems started of course when he lost his job. He has since found another one but not before he missed several payments on his credit card accounts. His property taxes came due and he could not pay them on time either. His next mistake was turning to a pay day loan lender who lent him some money but at such high rates and charged fees for everything. The cost this loan was just out of site. He desperately needs to pay everything off and just pay a reasonable interest rate along with a reasonable monthly payment. Now that he is working again, he can afford the monthly payment. He is worried that he might not be approved for a loan because of his recent history of nonpayment on several debts that he would now like to consolidate. In total he needs seven thousand dollars and he has asked for a two year term to repay this loan. He wants to get out of debt as soon as he can afford it. Two years seemed like a realistic objective, although a three year term would help him with his cash flow. Mathew has applied for a loan with a two year term which will mean that his monthly payment will be $312 a month. If he were to extend the term to a three year term, his monthly payments would decrease to $214 a month reducing his payments by almost $100 a month. If Mathew’s cash flow is tight he may be interested in a longer term. Of course with a longer term, it is taking longer repay the loan and that generates more total interest paid over the life of the loan. He has also struggled with his debts. When Mathew lost his job he did not have any savings to fall back on and did not have anything really to help him deal with no income. It was fortunate that was able to find another job so quickly, but not before the damage was done in terms of missing payments. Mathew needs to focus on getting approval for this loan, paying off all of his debts and then repaying his loan over whatever term he decides on. He also needs to start a savings plan to help him deal with future cash flow issues. There will be more issues that impact his ability to pay his debts in the future. He needs to make sure that he has savings to deal with whatever life throws at him. 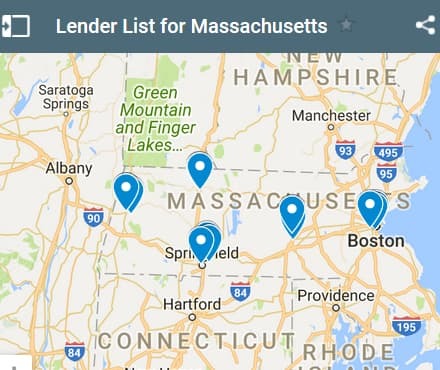 If you live in the State of Massachusetts and you're trying to get approved for a debt consolidation loan, we hope our website helps you find a good lender regardless of your credit rating.